Lionsgate International is breathing fire into the market and has unveiled its second major sales title in the form of the Thunder Road Pictures and Black Label Media action thriller. Denis Villeneuve, riding high on acclaim for Prisoners, which Lionsgate International also sold, will direct Emily Blunt and Benicio Del Toro in a story written by Taylor Sheridan. Lionsgate has acquired US rights to Sicario, in which Blunt will play a special agent who receives guidance from Del Toro’s mysterious government operative and a unit of elite fellow agents as she tracks down a crime lord. Production is set for June. Basil Iwanyk produces through his Thunder Road Pictures label alongside Thad and Trent Luckinbill and Molly Smith through Black Label Media, as well as Edward McDonnell. Co-president of Lionsgate Motion Picture Group Erik Feig, Summit Entertainment president of production Geoff Shaevitz and Lionsgate’s vp of production and development Matthew Janzen will oversee for the studio. The acquisition and co-financing with Black Label Media was structured on behalf of Lionsgate by general manager of the Motion Picture Group Sean Kiskern and svp of business and legal affairs, acquisitions and co-productions Jean Chi and on behalf of Black Label by Smith and the Luckinbills, Joseph Cohen, CAA, and Scott Edel of Loeb & Loeb. Patrick Wachsberger’s Lionsgate International sales slate on the Croisette includes River Road’s romance The Last Face. Sean Penn will direct Charlize Theron and Javier Bardem in the Africa-set story. 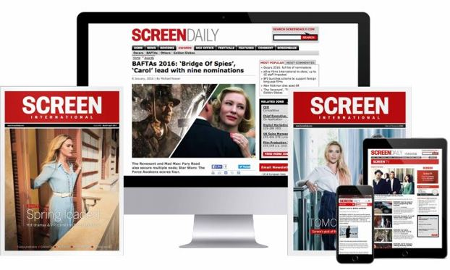 A special will be published in one of Screen’s prestigious Cannes daily issues. Screen International Presents: Cannes 2019 Product Guide. Noé, Faucon and Rosales feature in 50th anniversary edition marked by strong Hispanic, French presence. Screen International Presents: Cannes 2018 Product Guide.